Thomas Jefferson Kitts | Blog: I'm at the Columbia Gorge Paint Out for the next few days . . . I'm at the Columbia Gorge Paint Out for the next few days . . . 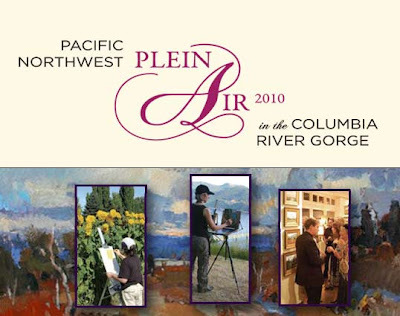 So check out this year's event and even come to the free public opening on September 3rd to meet many of the best plein air painters of the Pacific Northwest. I'll be having great fun with a lot of old and new friends, both in the Gorge, up on Mt. Hood, and near Goldendale. I'll be back in a few days to share how things went! I enjoyed reading your blog ~ thanks for posting such useful content./Nice article and great photos. Very nicely done!